Racers Edge Power Grip Hex Driver 2.0mm Discounts Apply ! 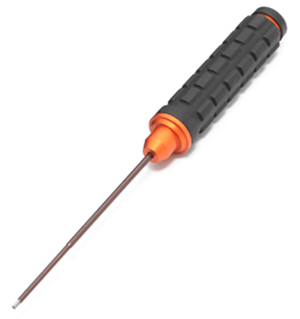 RCE7702 - Racers Edge Power Grip Hex Driver 2.0mm. Back by popular demand and updated for 2012, the Racers Edge Power Wrenches come complete with grips and in all common standard and metric sizes. Color coded aluminum handles, just like the original series, for quick reference in your pit box . Our hex tips are precision ground and tougher than ever before. Our new �GRENADE!� grips make for a locked in but comfortable feel for those long wrenching sessions.